North America Data Center Cooling Market demand valued at over $3bn in 2017 and the industry is predicted to grow at a CAGR of around 11% up to 2024. 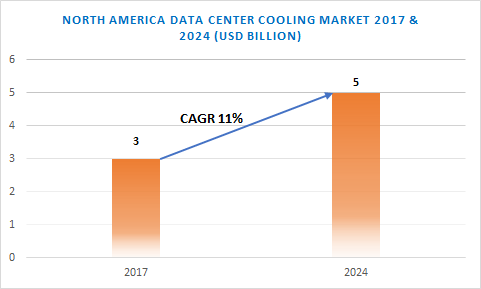 The North America data center cooling market is driven by the increasing demand for IT infrastructure facilities and the need for reducing the infrastructure cost. The number of data centers is increasing at a rapid pace, which has resulted in high investments for setting up cooling devices. With technological advancements and innovations in the data center space, this equipment has become cost-effective and efficient. Several OEMs in the storage, servers & network space, and data center firms are collaborating on various aspects to bring about innovations in North America data center cooling market. Liquid cooling system is expected to experience a high adoption in the North America data center cooling market with the high efficiency of devices in removing excess heat from IT facilities. The liquid coolant is circulated across several components of the IT facilities, which will enhance the cooling operations. These systems offer high cooling efficiency in comparison with HVAC systems, driving the North America data center cooling market demand. Some of the majorly used cooling systems include warm-water cold plate technology, water-side economizers, and immersion cooling. Rack-based technique is the most widely adopted system in North America data center cooling market. These systems are integrated within the racks, providing effective cooling of IT devices as compared to the room-based cooling systems. The rack-based cooling is the most flexible, achieves extreme density, and is the fastest to implement. The manufacturers are developing several cabinet fans that can be installed in the server racks. For instance, Airedale Air Conditioning is offering InRak, which is an in-row cooling solution that cools and conditions the air near the servers. The IT & telecom sector is witnessing a high adoption of these systems in North America data center cooling market. This sector is generating a massive volume of data due to the rise in digitalization and the penetration of several technologies such as cloud, IoT and big data. The growing demand for effective storage facilities is encouraging the IT infrastructure manufacturers to integrate smart devices and effective solutions with these facilities. Such factors are driving the demand for effective heat management solutions to reduce the overheating effect of the IT facilities, thereby providing an impetus to the North America data center cooling market growth. 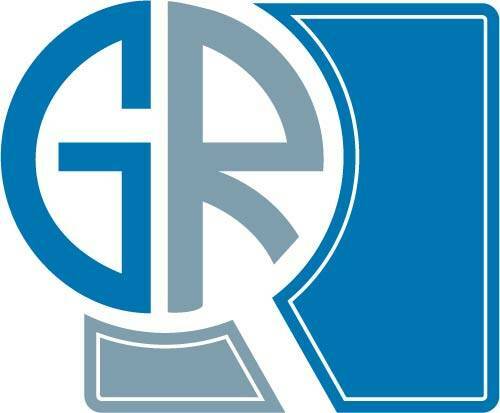 Major companies operating in North America data center cooling market are Green Revolution Cooling, Inc., Rittal GmbH & Co. KG, Munters, Black Box Corporation, Nortek Air Solutions, Schneider Electric SE, Nortek Air Solutions, LLC, AdaptivCOOL, and Airedale International Air Conditioning, among others. Several companies in the industry are focusing on developing technical and smart solutions owing to the high spending capacity of the customer base in the region.